Please come along and bring your family and friends. ENTRY BY feijoas + feijoa-inspired dish to share. We’re planning a fun-filled, somewhat frivolous, though fashionable and feijoally-fiendish flurry! • There will be competitions, storytelling, entertainment and activities. 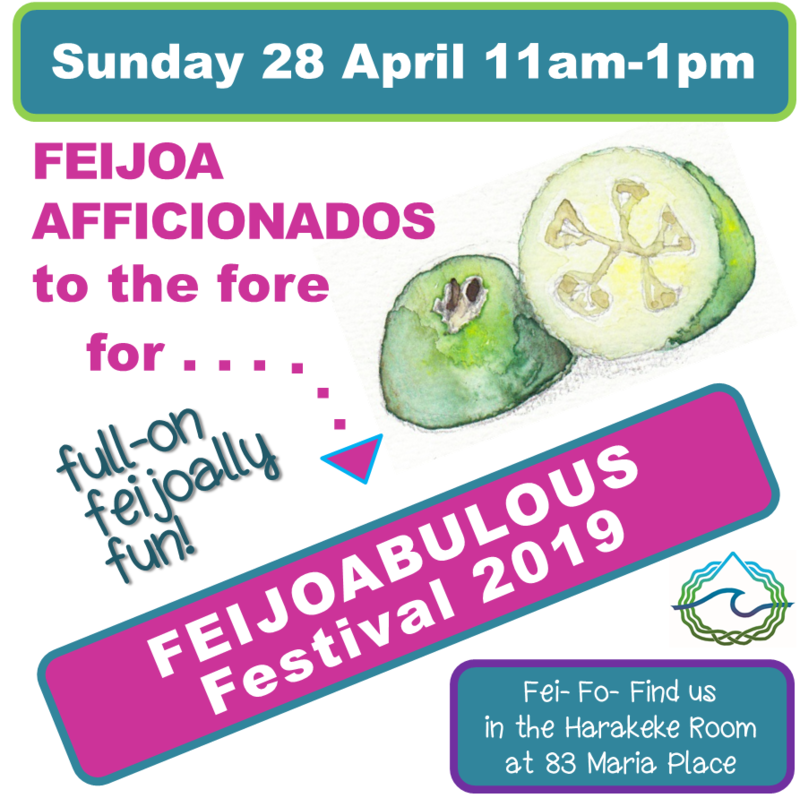 • The feijoa decorations will be up. We’d love some helpers from 10am on Sunday morning to prepare the Harakeke Room. Please email Lyn at pearsons@bythebeach.co.nz if you’re willing.